Frisco Kids: Coming Up: Doctor Noize Concerts - Free! Coming Up: Doctor Noize Concerts - Free! Check out these two free album release concerts which would be fun for the family. Doctor Noize (Cory Cullinan) is from Los Altos, and uses electronic music and studio technology to create a fresh, modern pop style for kids. He'll be releasing his new kids' album Phineas McBoof Crashes the Symphony, which brings orchestra and musical theater to kids. During the concert, he'll debut several songs from the album. He's a one-man-band playing an armada of instruments, with electronic music looping technology, and he records music live onstage. He sings and plays guitar, keyboard, saxophone, percussion and kazoo. During his shows, he brings kids onstage to solo on keyboard and drums and record their own vocals into loop recordings, using a Mac laptop and technology to build up songs for a big sound. 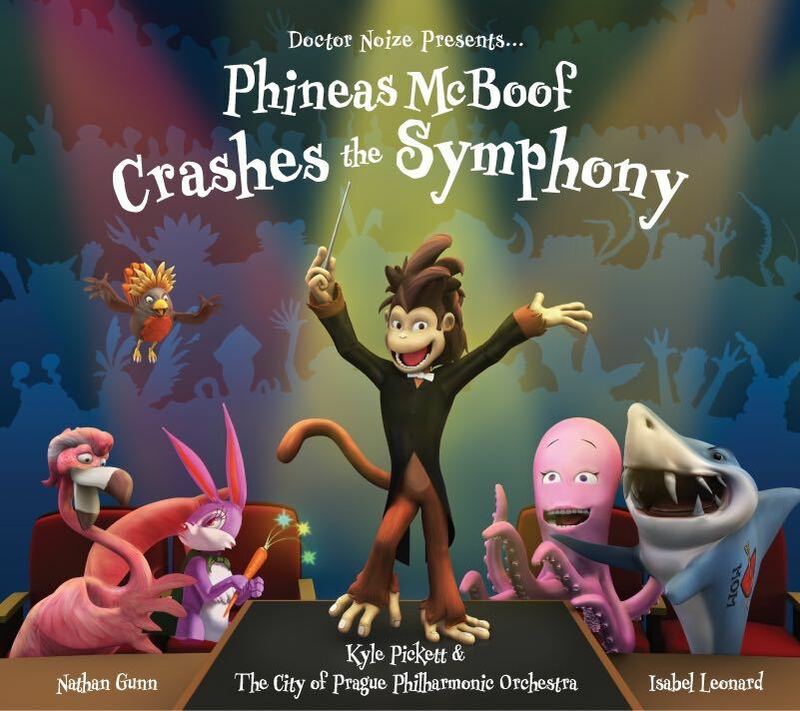 The album is a "screwball musical comedy" written by Cullinan, His upcoming children's musical, The Ballad of Phineas McBoof, was commissioned by Palo Alto Children's Theatre and will premiere there from November 3 - 13, 2016.